Give your old cardigan a new look, or get creative with loads of other uses! Get a pack of three tie clips. 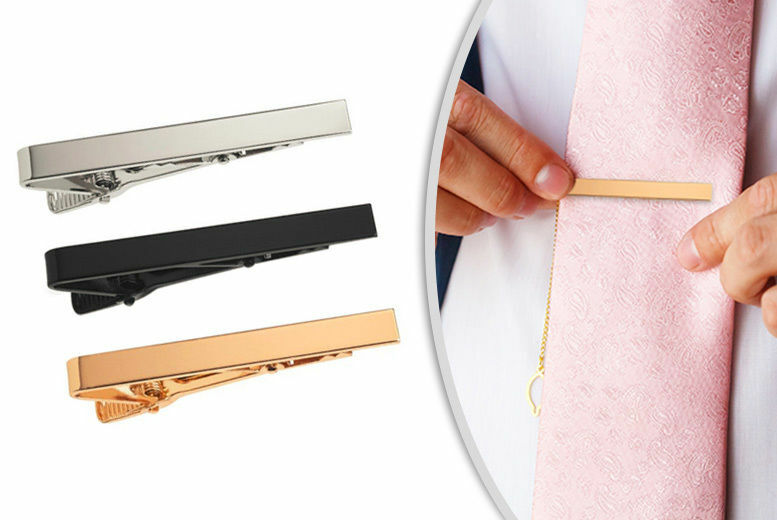 Comes with one black-tone, one silver-tone and one gold-tone tie clip. Elegant and subtle, perfect for most tie types.